JD Edwards EnterpriseOne offers a powerful, fully integrated ERP software suite that provides more choice of databases and deployment options, including on-premise, private cloud, public cloud or hybrid cloud for maximized flexibility and low TCO. 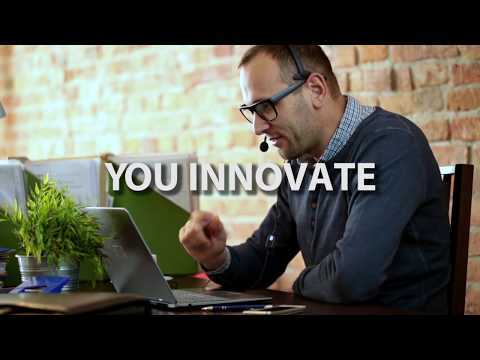 With over 80 application modules, end-user reporting, and personalization capabilities, JD Edwards EnterpriseOne combines business value, standards-based technology, and deep industry functionality into a solution that will transform your business. In addition to an array of out-of-the-box mobile applications, JD Edwards EnterpriseOne leverages Oracle’s Mobile Platform to accelerate business execution and provide a complete enterprise mobile solution, from deploying to building and extending mobile applications. Only JD Edwards EnterpriseOne offers more choice of databases, operating systems, and hardware so you can build and expand your IT solution to meet business requirements. JD Edwards delivers over 80 application modules to support a diverse set of business processes and key industry solutions such as Consumer Package Goods, Manufacturing, Asset Intensive, and Projects and Services. We were able to deploy E1 across several government agencies who were on disparate systems removing numerous interfaces and greatly reducing double work of entering information into multiple systems.The JDE E1 software will run on multiple database platforms. Several years ago we choose SQL Server as our database of choice and we were running E1 on Oracle. The actual migration from Oracle to SQL Server was completed over a weekend. The bulk of that project focused mainly on retro-fitting the external interfaces to point to the SQL Server database. The E1 database does not use stored procedures or referential integrity at the database level. Data integrity is maintained programmatically. In 20 years we've never had a data integrity issue. Not implementing business\application logic into the database via stored procedures means the database is very fast and very efficient. Distributing application processing across web servers, application, and databases means it's easier to troubleshoot performance problems. The software has a complete lifecycle management tool for customizing the application to our specific needs. We have written several custom modules. The tool is very easy to learn. I am impressed with the continual investment by Oracle in this product and they are making great strides in having the whole application mobile ready. I can easily foresee us continuing to use E1 for another 10 to 15 years. The JDE E1 software will run on multiple database platforms. Several years ago we choose SQL Server as our database of choice and we were running E1 on Oracle. The actual migration from Oracle to SQL Server was completed over a weekend. The bulk of that project focused mainly on retro-fitting the external interfaces to point to the SQL Server database. The E1 database does not use stored procedures or referential integrity at the database level. Data integrity is maintained programmatically. In 20 years we've never had a data integrity issue. Not implementing business\application logic into the database via stored procedures means the database is very fast and very efficient. Distributing application processing across web servers, application, and databases means it's easier to troubleshoot performance problems. The software has a complete lifecycle management tool for customizing the application to our specific needs. We have written several custom modules. The tool is very easy to learn. I am impressed with the continual investment by Oracle in this product and they are making great strides in having the whole application mobile ready. I can easily foresee us continuing to use E1 for another 10 to 15 years. Having used many ERP systems since, things can sure be simplified from the JDE way. However the configurable nature of the software in my experience remains unmatched. Have fond memories of the powerful tool that is JDE.As a user I could appreciate the general ledger and search options within every program of JDE. Always helped to be able to search directly from one screen (rather than running a report for the data as per more rudimentary systems). For the user being able to check when reports ran (eg printed orders and other tasks) as well as scheduling to minimise server load for users, is invaluable. As a user I could appreciate the general ledger and search options within every program of JDE. Always helped to be able to search directly from one screen (rather than running a report for the data as per more rudimentary systems). For the user being able to check when reports ran (eg printed orders and other tasks) as well as scheduling to minimise server load for users, is invaluable. Could have just been the way we had our version configured, but certain tasks... price updates etc. These could be time consuming, click, type, click, type. We did have our JDE maintained by an overseas IT dept... and they put a lot back on the user to update themselves. I'm sure a report could have been written in each instance to update. Integrated reporting including OneVIew. Consistent, rich user interface that is highly configurable. Rock-solid business functions. Complete set of integrated modules for most business functions. JDE E1 is highly flexible, highly configurable and allows for granular security. Once users become familiar with the interface, it becomes an easy tool to master. We have been able to solve every business challenge needed, mostly through configuration, but some through customization. It runs on the Microsoft stack as well as Oracle's stack. There are dozens of modules that cover most every business process including general accounting, inventory management, job costing, real estate management and more. The code is extremely stable and documentation is very good on how each module is configured (although it may take a lifetime to know how your business wants it configured). Once you become familiar with its interface, it becomes just a little bit easier to manage, but, from a very personal point of view, its user interface is the worst on the market. JDE is very customizable and configurable, you can download real time informatiom to be managed and polished in MS excel. It can be as simple and easy as you want or as complicated as it is. It can meet your company needs BUT it will require constant backup from a well trained and dedicated expert. JDE is very customizable and configurable, you can download real time informatiom to be managed and polished in MS excel. It can be as simple and easy as you want or as complicated as it is. It can meet your company needs BUT it will require constant backup from a well trained and dedicated expert. Its very expensive, and it requires a lot of trainning and knowledge to be managed. New users tend to feel overwhelmed with the interface. Some of the options can be duplicated on the screens, they can be simplified and merged but, again, it will require constant backup from a well trained and dedicated expert. Contact Oracle for detailed pricing information. JD Edwards on Oracle Cloud is hybrid by design enabling your digital business through choice and control. Delivers applications that support solutions for the consumer package goods, manufacturing and distribution, asset intensive, and projects and services industries. Oracle's JD Edwards EnterpriseOne Financial Management solutions can help users respond more quickly to their changing environment, streamline financial operations, and improve the accuracy of financial reporting. Delivers an array of mobile applications to a mobile workforce that are role-based, on the device of their choice with a modern user interface. Below are some frequently asked questions for Oracle JD Edwards EnterpriseOne. Q. What type of pricing plans does Oracle JD Edwards EnterpriseOne offer? Q. Who are the typical users of Oracle JD Edwards EnterpriseOne? Q. What languages does Oracle JD Edwards EnterpriseOne support? Q. Does Oracle JD Edwards EnterpriseOne support mobile devices? Q. Does Oracle JD Edwards EnterpriseOne offer an API? No, Oracle JD Edwards EnterpriseOne does not have an API available. Q. What other apps does Oracle JD Edwards EnterpriseOne integrate with? Q. What level of support does Oracle JD Edwards EnterpriseOne offer? Q. Which apps is Oracle JD Edwards EnterpriseOne compared to most often?